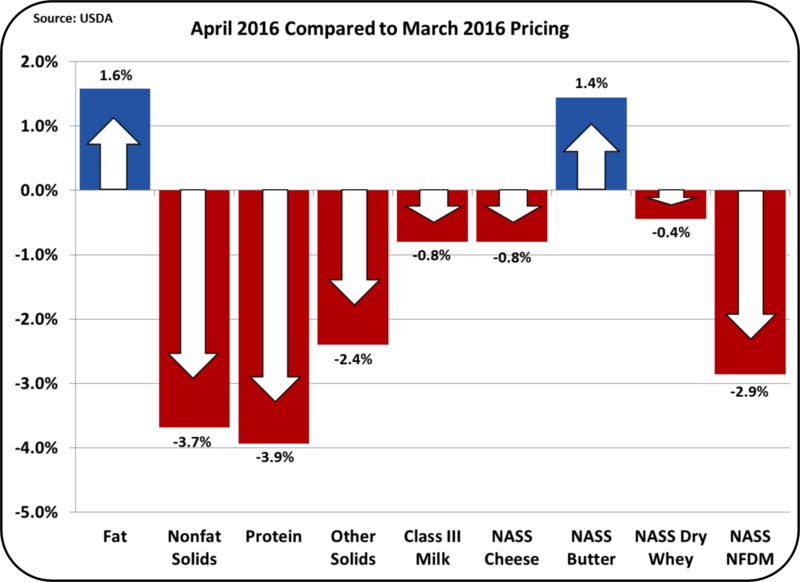 Class and Component prices for April milk were announced on May 4. April data is based on five weeks where the prior three months were based on four weeks of data. 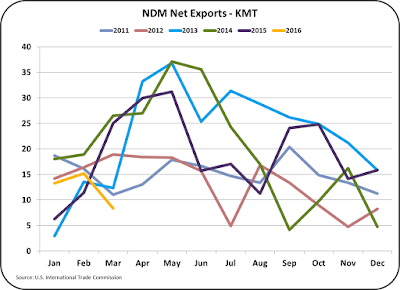 The chart below shows the changes from the prior month. The Class III milk price dropped from $13.74/cwt. 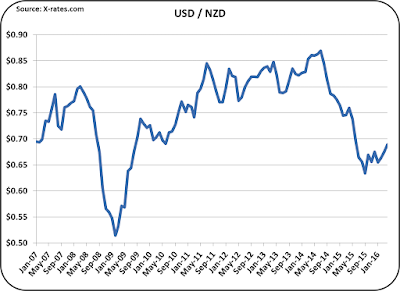 to $13.63/cwt., a change of less than one percent. 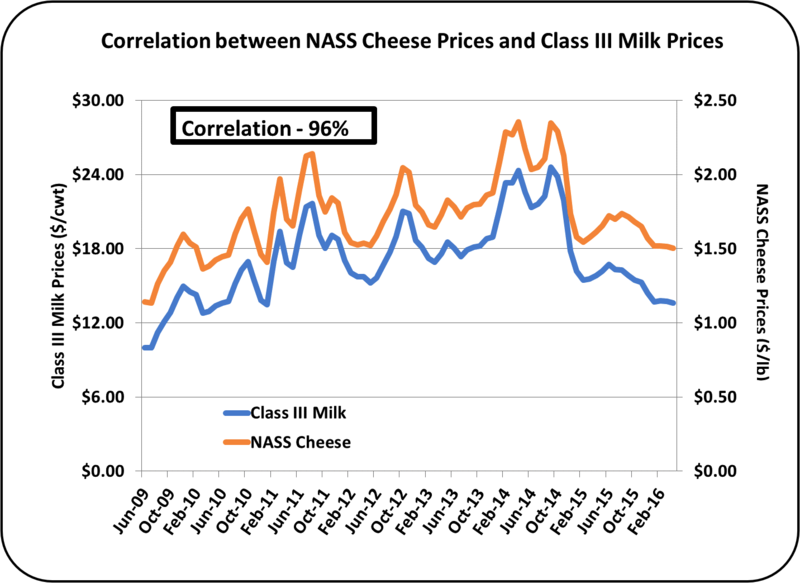 While butter and butterfat were up, they have very little impact on the Class III price. 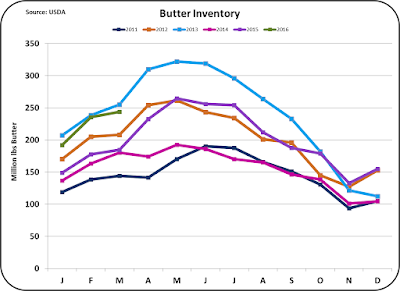 Butter increased from $1.99/lb. 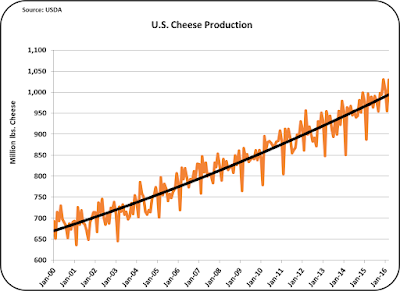 to $2.02/lb. 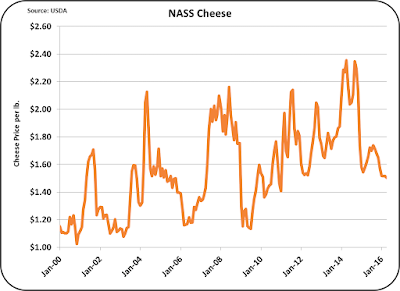 The current price of $2.02/lb. for U.S. butter is far above international prices. 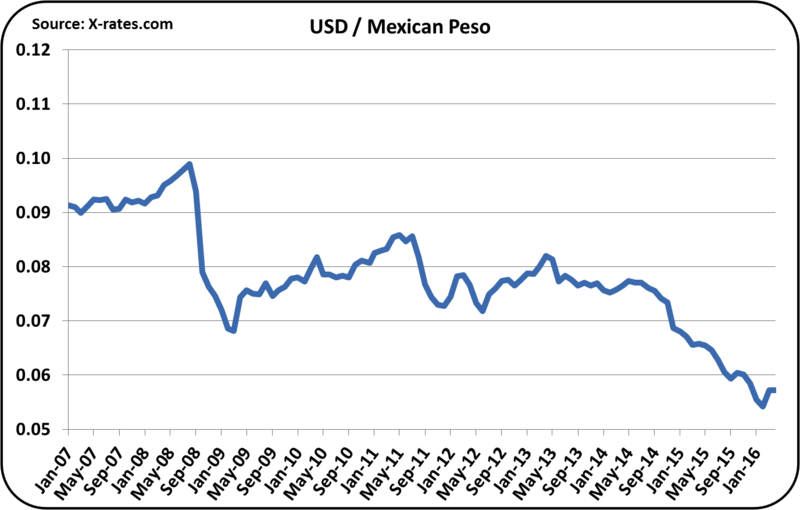 International prices are around $1.20/lb. 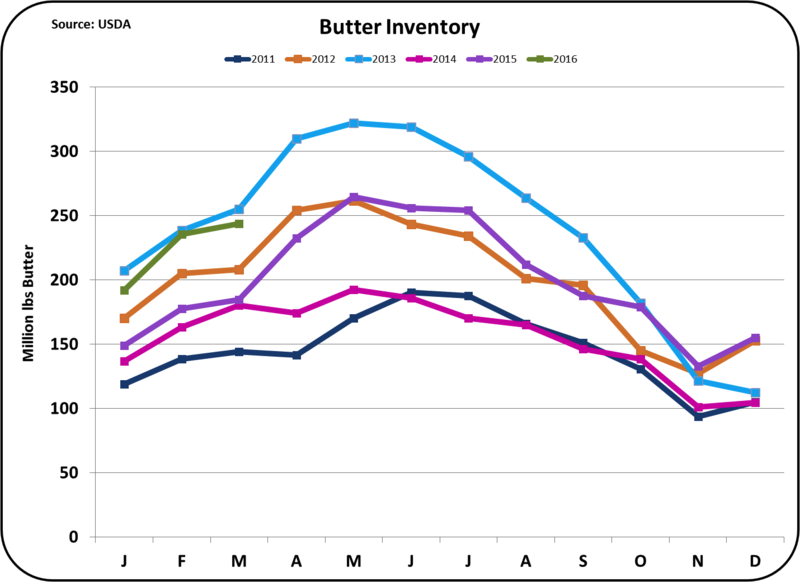 The current high price for U.S. butter is the result of holding inventories close to normal levels. 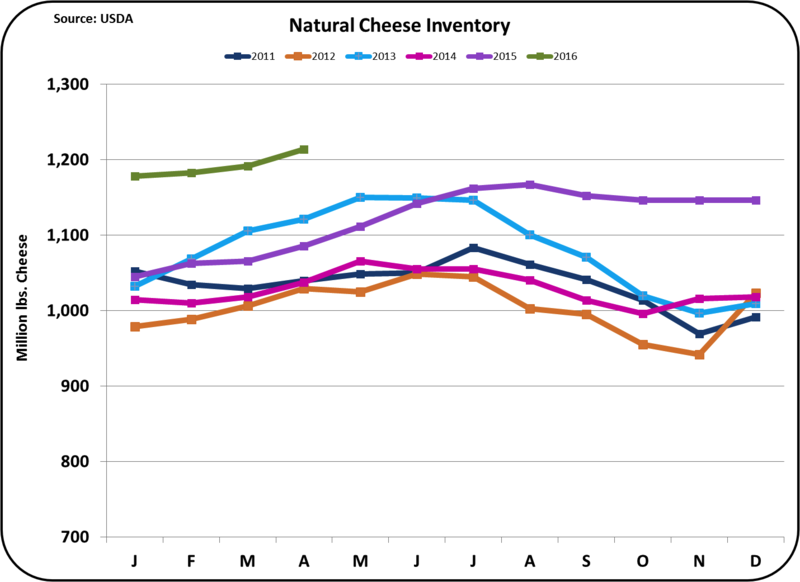 Strong consumer demand and reduced production have allowed inventory levels to maintain only limited growth over the prior year. 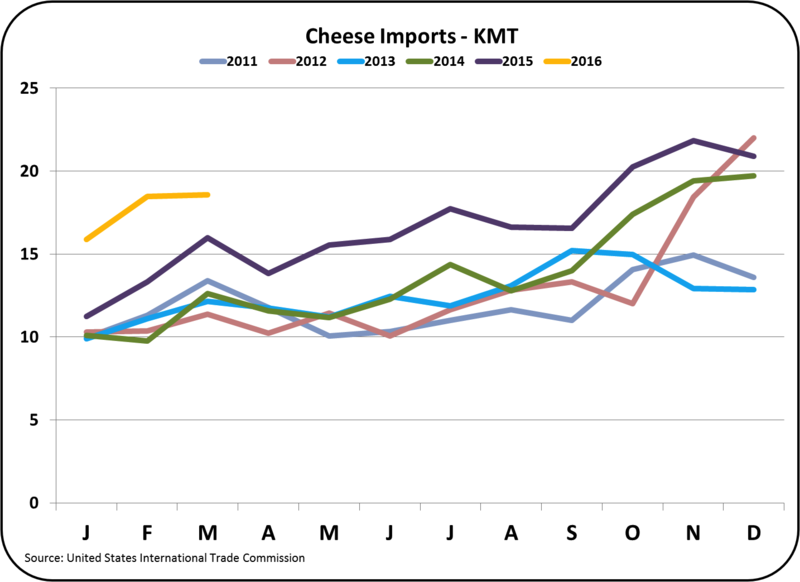 However, the huge difference in butter pricing between the U.S. and the rest of the world has led to significant imports with escalating growth as shown in the chart below. 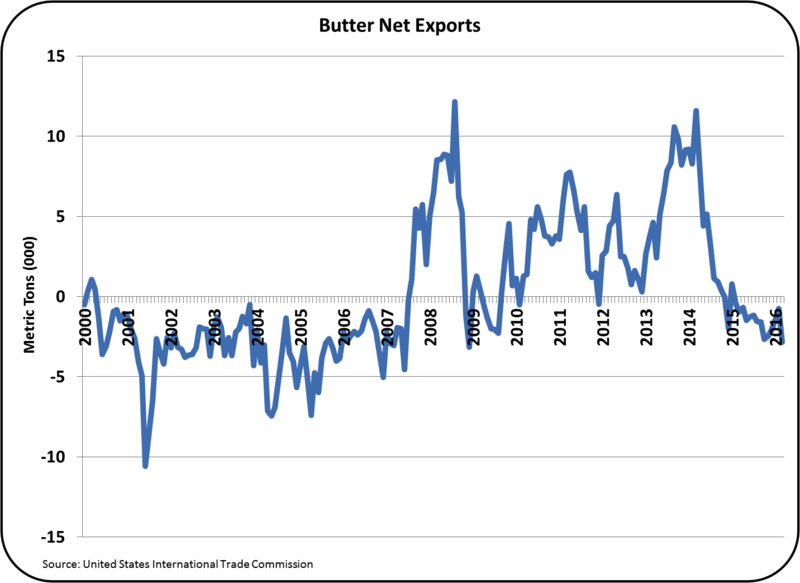 Net exports of butter (exports minus imports) are at levels not consistently seen in 10 years. 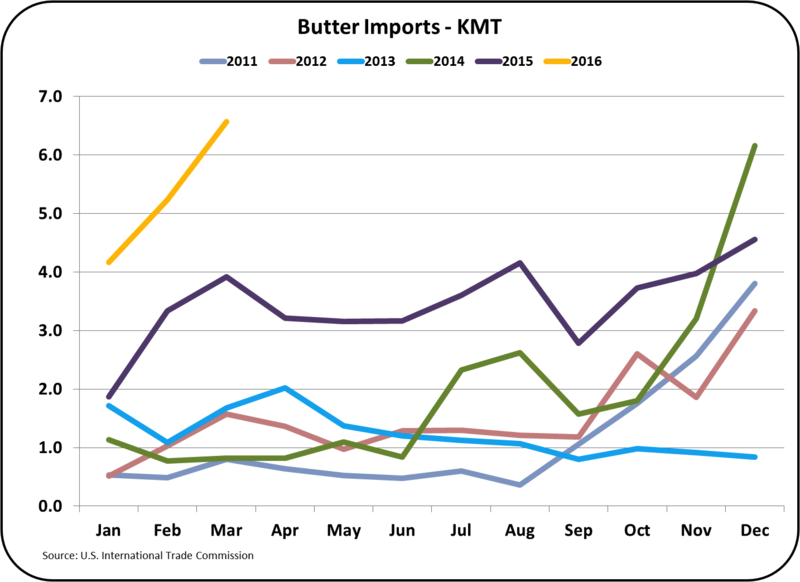 Much more butter is being imported than exported. 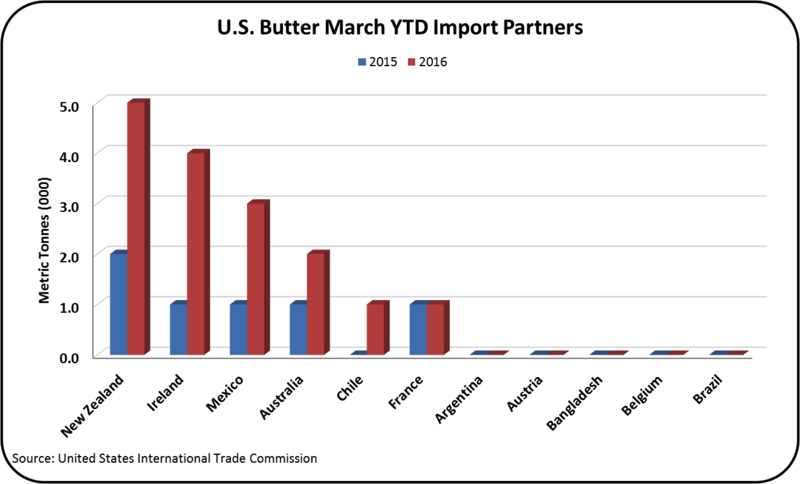 Currently butter imports make up nearly 10% of U.S. butter consumption. There is only one of two things that can happen. 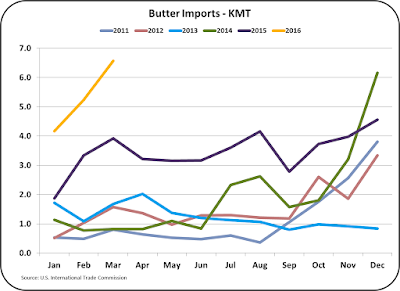 Butter imports will continue to escalate or U.S. prices will have to drop. 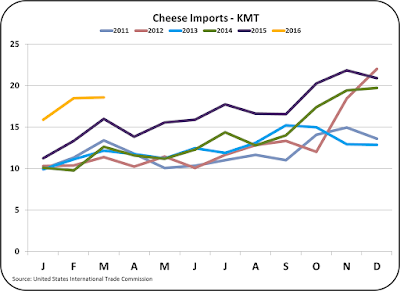 How much butter is available for import? 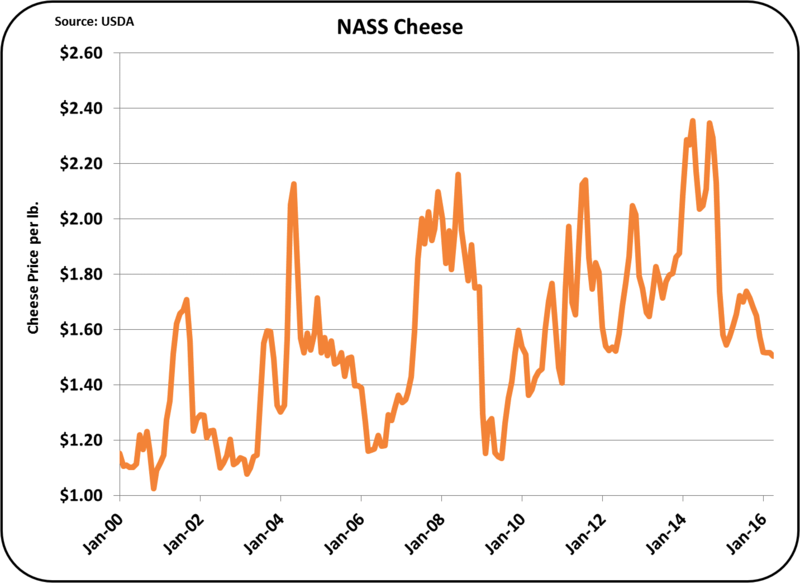 New sources are being discovered, contributing to huge increases compared to 2015 (see chart below). 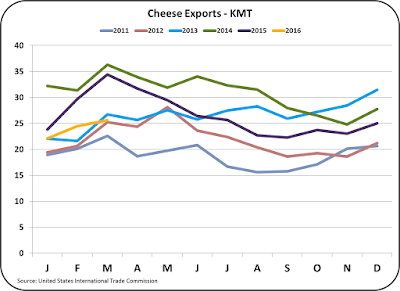 New Zealand has been the biggest source with Ireland, Mexico, Australia, and now Chile contributing. There seems to be plenty of available supplies internationally. 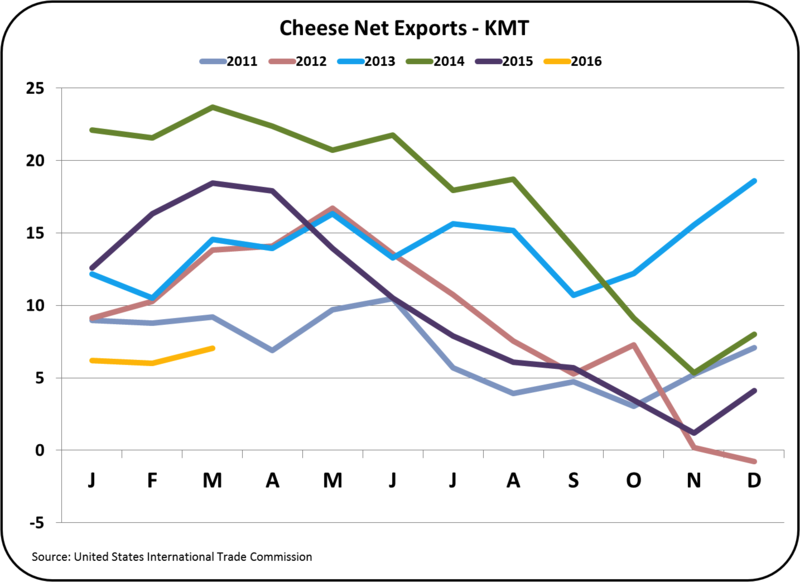 Net exports of commodities used to price producer milk were all down, resulting in price declines for all these commodities except butter. 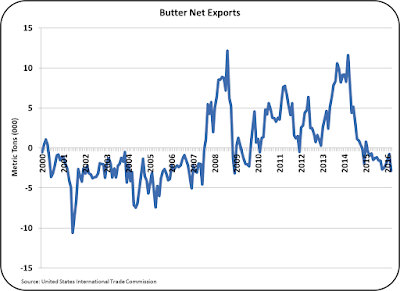 Butter net exports were discussed above and are at 10 year lows. 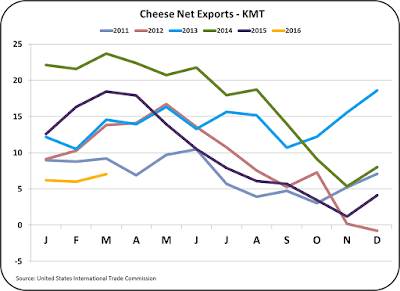 Cheese net exports are lower than the prior five years as shown in the chart below. 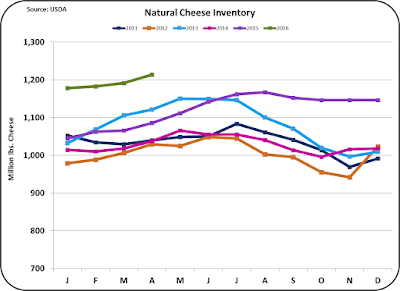 As a result, inventories are high and prices are low. 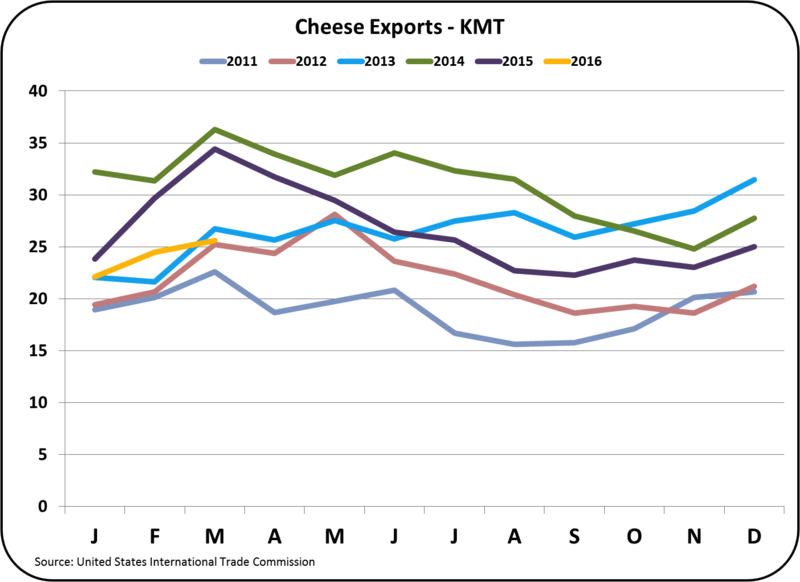 Dry whey exports are also below the prior five years and international prices are low. 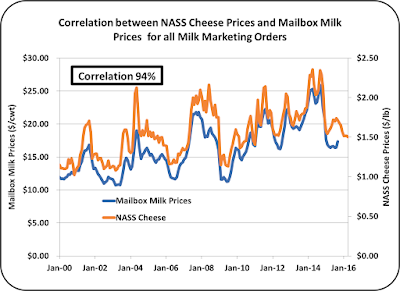 Because dry whey is primarily an export item, the export price is the domestic price. 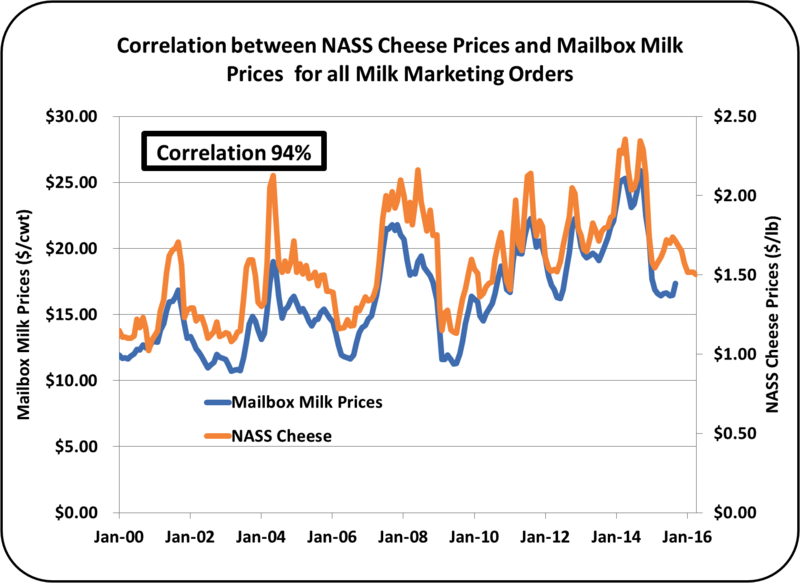 Dry sweet whey is the basis for pricing of "other solids" in the component pricing system. What's the good news? 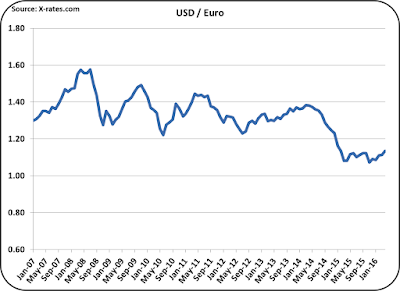 The USD is getting weaker vs. other currencies. 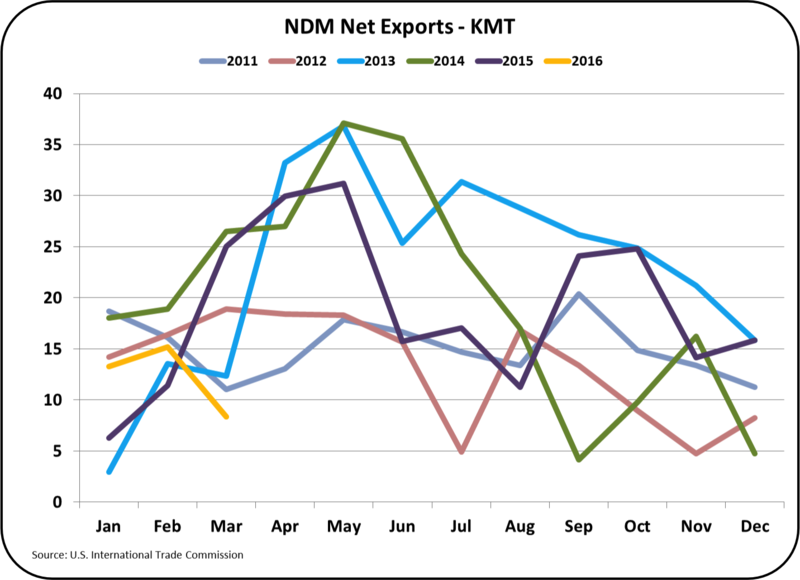 This makes U.S. exports more attractive on the international markets. 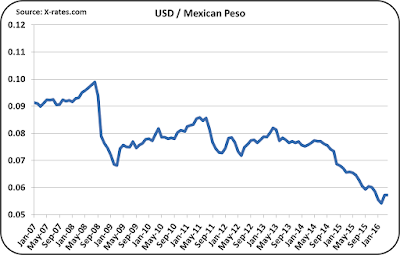 Below are the charts showing the exchange rates for the USD vs. the NZD, the Euro, and the Mexican peso. 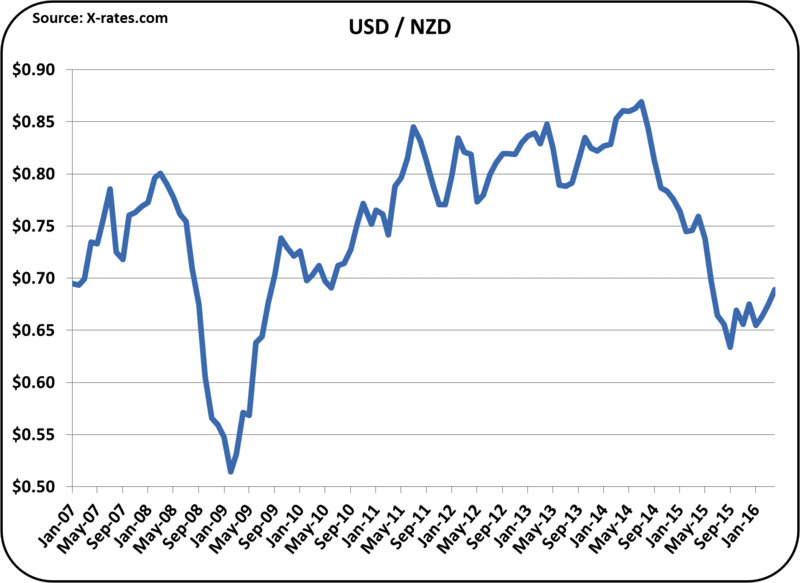 U.S. imports come primarily from New Zealand, and Europe, and Mexico is our largest U.S. export customer. 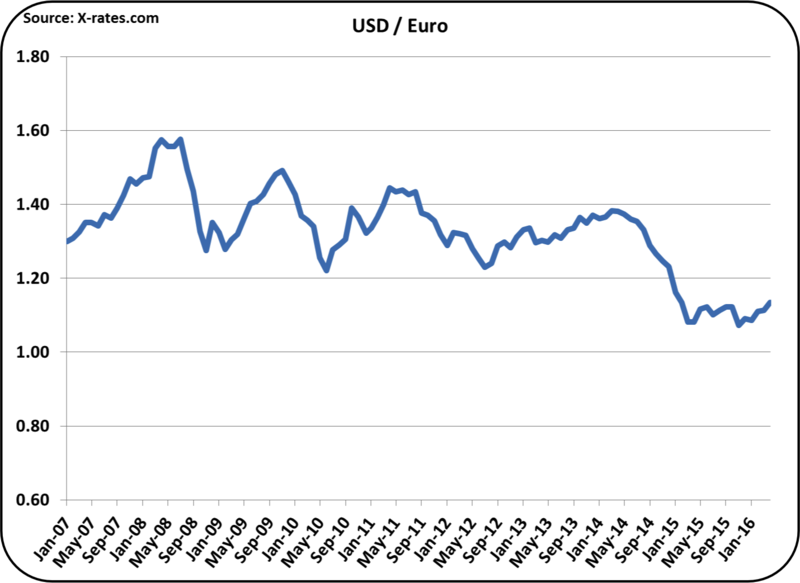 All of these exchange rate charts are showing a nice upward trend, favoring U.S. export pricing. 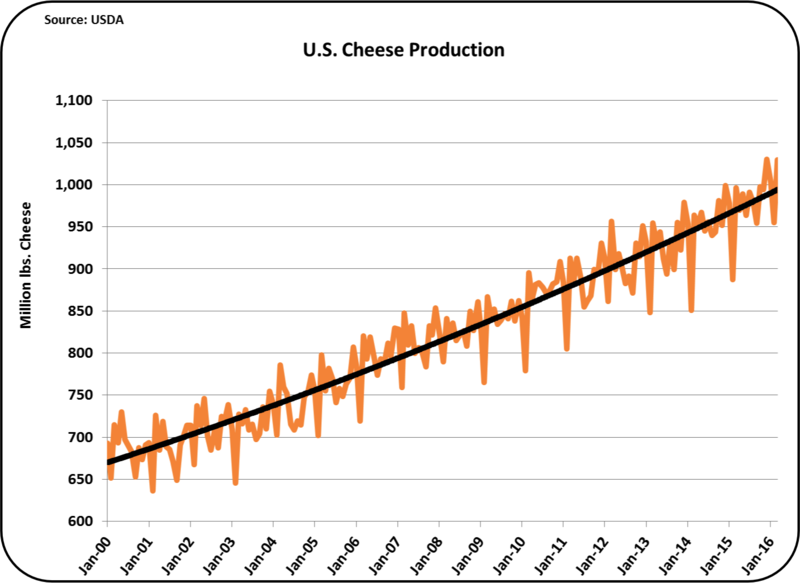 The changes are small to date, but they seem to be growing.